There are no chips, cracks, breaks or rough rims. 3 are available and priced individually. 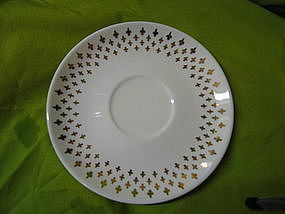 I have a 4th saucer with a tiny rim chip, which is free with purchase of all three. I need your zip code to calculate the postage.